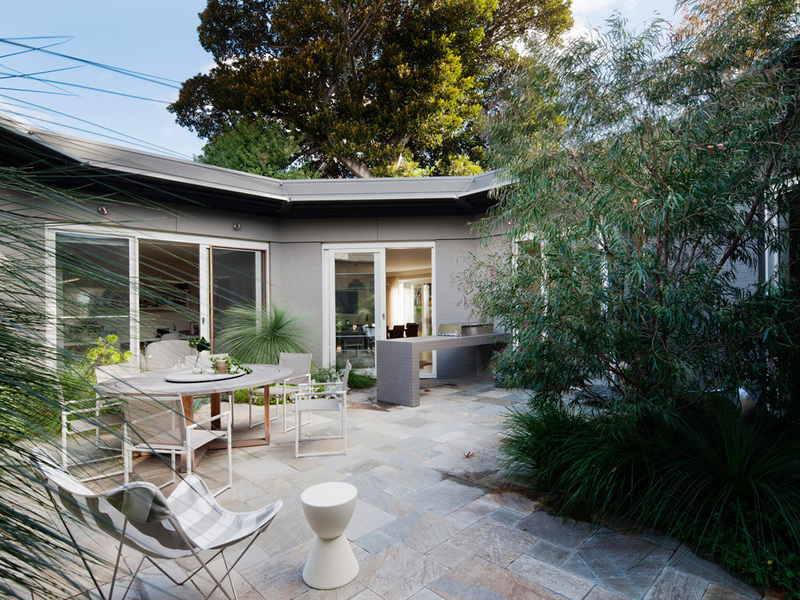 A residential renovation project, the existing condition was a 1970s courtyard house; there were few easy connections between inside and out, and the internal space planning was too tight for a young, active family. Molecule’s brief was to update the home – both in aesthetic and performance terms – while celebrating the home’s ‘70s spirit. The design challenge was to retain the inherent relaxed glamour of the ‘70s typology without creating a paean to the era; our design response maintained the purity of the octagonal central courtyard and the resulting abundance of natural light and garden views, but enacted a series of calculated demolitions to improve flow and increase the sense of space. Material finishes were updated throughout to freshen the atmosphere while enhancing the expressive language of brickwork walls and projecting planar roofs. New and old are deliberately blurred, yet the house enjoys an unmistakably new lease on life.